We definitely don’t enjoy streaming all the time, some things we love to keep what we watched on our laptops or mobile phones but when it comes to Facebook, YouTube and Instagram videos, it becomes mission impossible because the website does no support downloading medias. So what to do, just watch and go or find a way to download on these sites?. Aside from the little trick am going to show you which I have been using, there are quite others like internet download manager etc but at some point, there seem to stop working. Especially the IDM that gives just a couple of months free, then start charging. This might not be every bodies favourite, but it is mine. This is why I decided to share this little hack of how to download videos from various sites including Daily Motion, YouTube, Facebook and Instagram. Another interesting part of the VedeDown website is that it offers various video qualities for that particular video. Wow. Cool right? First, Let me brief you the VedeDown.com website. 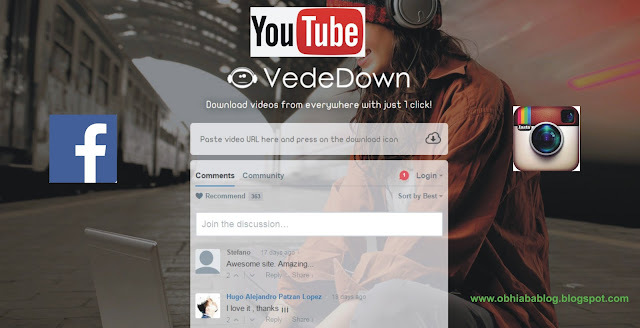 VedeDown is an online downloaded that provides the download button after you simply place the link of the video you wish to download. Which so ever the site, as long as you have the link copied, just paste it and get access to download it freely. How to Download Videos on VedeDown. I have down this a lot of times and just to make it easy I will break it down for you into getting your YouTube video link, Facebook Video link, Instagram video link and finally pasting it on the VedeDown.com. Visit www.youtube.com, and search for the specific video you wish to download. Clink on it and let it load. 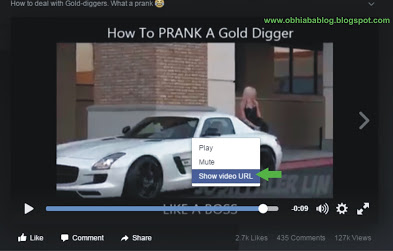 Just like getting the video URL of YouTube videos, you can also copy that of the Facebook videos. I don’t know if there is any short method to do this, so do share with us if you have. For now, i will be showing you the self found procedure i use to get the link. Not to worry i have pictures provided for better understanding. 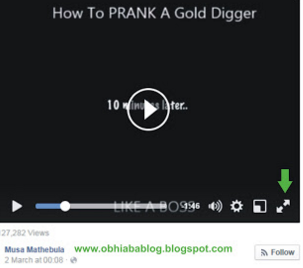 Visit Facebook and locate the video you want to download, just the same way I found How to prank a gold digger like a boss as a tutorial point. If you are using a laptop, clink on the play or screen. If it doesn’t show in full width simply locate the full-width button in the video box. It should show in full screen now. Now you have two options; Either clink on the share button below and get the link or go further by right clicking on the screen. A little box should pop up as shown in the photo below with the show video URL option. So hold on a few seconds that if you have a poor internet connection. Be observant for another pop-up box with the video URL so simply copy the link. Now that is all for getting the link to a Facebook video. This is also possible and if you are using a laptop, simply place your pointer on the video and right clink for options. You should see copy link address in the pop-up menu. 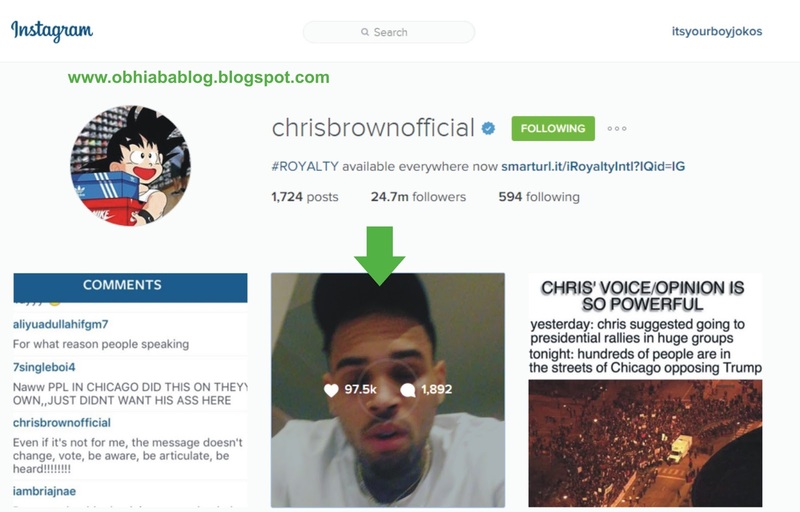 Aside from this method, you can also get the URL of Instagram videos. 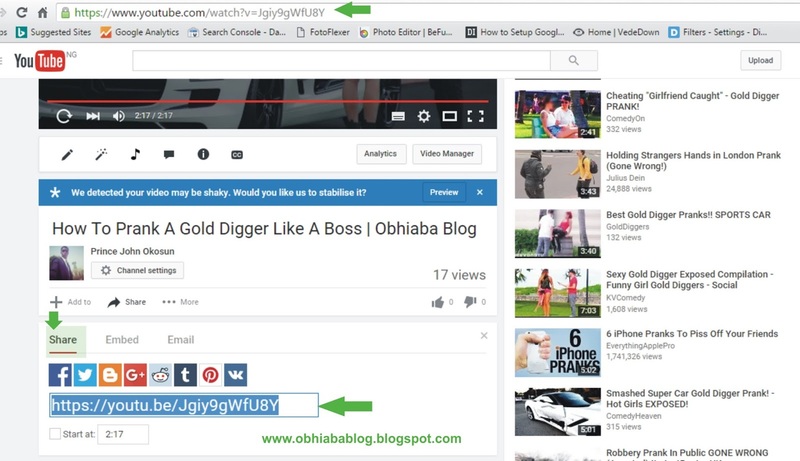 Open the video you want to copy its link, Note: through uploaders profile as seen below. Go on to get the link by copying the URL shown in the link box at the top. Let me also make it easier for you. See the photo below. Hope you clearly understand how to get the URL of videos from various site. And if you are using a mobile phone, am sure this same procedure will work for and do bare with me for using the laptop as a tutorial point. This part is self explanatory, no need for accounts or payment. Its a free site in a few minutes the downloading is done. Simply visit the Vededown home page www.vededown.com. 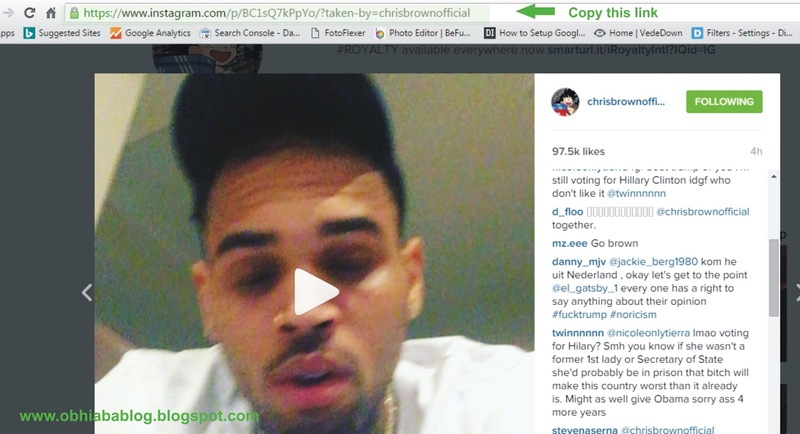 Now paste the URL you copied either from YouTube, Facebook or Instagram and paste it in the space provided for the link. Hope it worked well for you dear and do enjoy more of my daily update on blogging, fashion and music download. Stay connected; Email subscription, and follow my blog. I just checked and the website is currently down but you can also try using IDM for your downloads. Thanks for visiting and commenting.